Discussion of the Cambridge Platonists, by Constantinos Patrides and others, is often vitiated by the mistaken contrasts drawn between those philosophers and late antique Platonists such as Plotinus. I draw attention especially to Patrides’s errors, and argue in particular that Plotinus and his immediate followers were as concerned about this world and our immediate duties to our neighbours as the Cambridge Platonists. Even the doctrine of deification is one shared by all Platonists, though it is also here that genuine differences between pre-Christian and Christian exegesis can be found. All, it can be said, hope and expect to join ‘the dance of immortal love’, but Christian Platonists had a deeper sense of God’s ‘humility’ in His Word’s material and temporal manifestation. Not Olympian Zeus but the Crucified Christ was their preferred image of divine involvement, and their better guide to heaven. We have needed a modern, critical edition of John Smith’s Select Discourses for a long time. The most widely available text is that edited by H.G. Williams and published by by the University Press in Cambridge (1859). However, although Williams’ edition usefully included the identification of the sources many of Smith’s quotations, the text itself was a poor reflection of the original. Williams silently absorbed the many emendations of earlier editors, added even more of his own, and imposed a system of punctuation which overwhelmed the rhythms of Smith’s prose. Quotations were altered to conform with then current editions of classical texts, and Smith’s lexical choices were emended to conform with Williams’ views of what was acceptable or intelligible. Any close study of Smith’s ideas, style or scholarship needs to go beyond Williams’ text to one based on Worthington’s original editions of 1660 and 1673. The edition I have produced tries to make such a text available, at the same time making explicit the extent of Worthington’s own considerable editorial interventions. It includes annotation which, so far as has been possible, identifies the sources of Smith’s wide-ranging quotations and allusions, translating them for the modern reader who may not be able to read the originals, and may also be unfamiliar with the Bible. Editorial annotations try to make clear some of the contexts of Smith’s writing. An introduction gives some account of Smith’s life and influence, and offers a tentative, literary introduction to the his work. A small number of omissions are to be remedied. 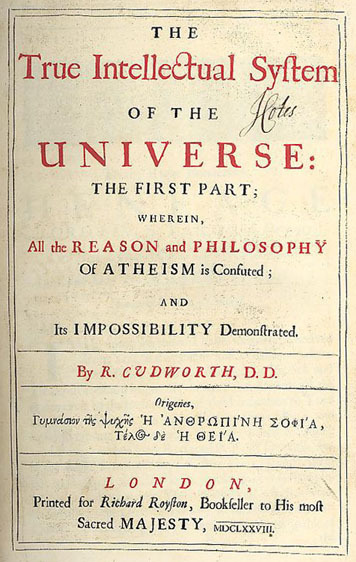 The edition of John Smith’s Select Discourses is available as a series of PDF files at http://www.cambridgeplatonism.uk. I hope to make the site easier to use and more attractive in appearance over the coming months. The edition was written in LaTeX, using Texpad 1.7.38 as an editor and compiled using a MacTex installation. The current website is uses WordPress, hosted by Treewind.